Even though “northwest forest” brings to mind towering conifers, we have a roughly equal number of native conifer and broadleaf trees. Some of our favorites for sunny landscapes are described below. Bigleaf maple grows on coastal bluffs and riparian areas throughout the northwest. These maples are fast growing, deep-rooted, easy to establish, and tolerate full sun to full shade. Bigleaf maples have strong wood, prized by furniture and instrument makers for its intricate figure patterns. Given room to spread, they will develop broad crowns that cast shade across hot, southern exposures. Equally at home in wet clay soils and gravelly prairies and rocky outcrops, bigleaf maples can be planted just about anywhere. Their massive, sprawling roots excel at stabilizing bluffs. 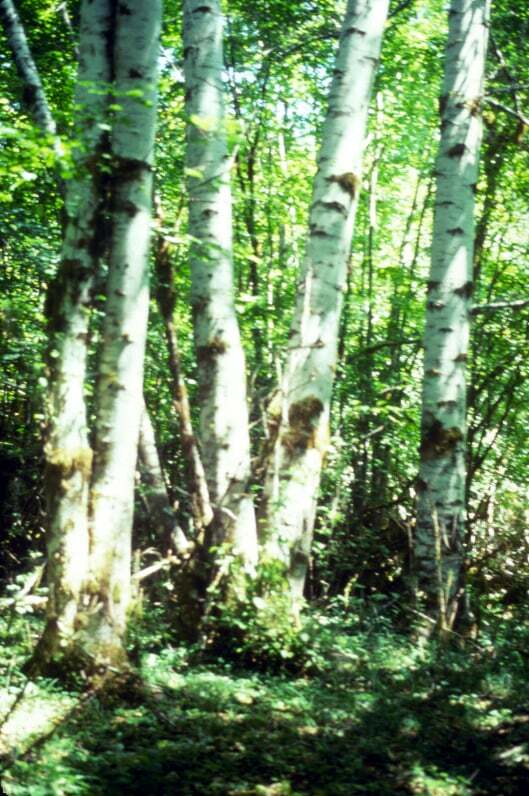 The classic trees of arroyos and mountain streams in the arid interior, quaking aspen in western Washington typically occur in wetlands, where they form dense thickets. 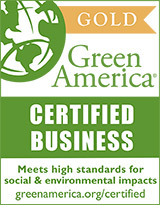 Quaking aspen perform well in the landscape when planted in wet areas with shallow clay soils. They usually attain a mature height of about 35-50′. The delicate leaves leaves “quake” or “tremble” when stirred by air currents, and turn a beautiful yellow in the fall. The smooth white trunks of the bare trees stand out dramatically in winter. Aspen spread by root suckering and form thick stands in wet areas. 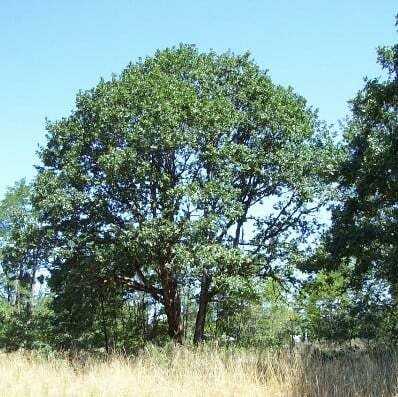 Washington’s only native oaks are closely associated with the vanishing gravelly prairies of the South Sound area. Oregon white oak is a stout tree with gray, deeply fissured bark, a broad trunk, thick, gnarly limbs and a spreading crown. The form is striking and mistakable even in winter. The dark green leaves persist well into the middle of winter, sometimes clinging to their twigs until new leaves start to form in spring. These trees grow slowly, need protection from deer when young, and have deep roots. Although they grow on well drained, gravelly soils, Oregon white oak can tolerate a surprising level of early season saturation, and they occur in association with Oregon ash along wetland and stream margins.